Bobby “Boogaloo” Ward admits that sibling rivalry is driving him to succeed in the pro ranks. Ward is the oldest of three boxing brothers and the first of them to turn professional. The 22-year-old from Romford will have his third pro fight at the Watford Colosseum on Saturday night when he meets Steve Gethin, a veteran of 62 pro fights who himself comes from a family of boxing brothers. 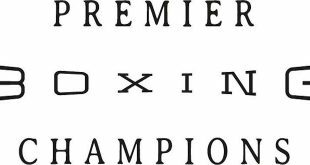 Their super featherweight contest features on the undercard of a Hennessy Sports event which is headlined by the clash between Commonwealth welterweight champ John O’Donnell and upset specialist Tom Glover. 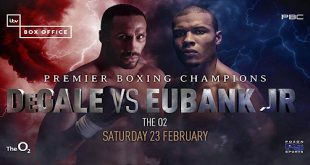 The card is live on ITV4’s Big Fight Live from 7.35pm on Saturday and Ward will be looking to extend his unbeaten run in the pro ranks. The former Repton club man enjoyed a successful amateur career which included a win over Amir Khan in an English Schoolboy final. 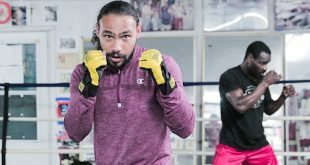 However he drifted from the sport for several years before returning to the gym late last year after being inspired by the successes of his younger brothers in the amateur ranks. “I was out of boxing for 5 years and during that time I got married and had a couple of kids so I had to put supporting my family ahead of my boxing,” explained Ward. “We’re a big boxing family and my younger brother Martin and John have been doing exceptionally well. Martin’s only just turned 18 and he won Gold at the European Youths Championships in Poland last month. He’s targeting the London Olympics and I think he can go all the way. John is doing really well too and he’s another big prospect for the future so seeing them come up through the ranks really got me hungry for the sport again. Should Ward get past Gethin unscathed there is a strong possibility that his next outing could come in Ireland later this month on a massive night of boxing in Dublin. Irish hero Bernard Dunne will defend his WBA World title at The O2 on September 26th and Ward is being lined up for a slot on the undercard. Ward’s promoter Mick Hennessy revealed, “I know that Bobby actually won a couple of Irish titles at underage level as an amateur when he lived over there. I’ve been very impressed with what I’ve seen of him so far as a pro and I think the Irish fans would love his style so it would be great opportunity for him to fight over there on a big World title bill. John O’Donnell’s clash with Tom Glover tops the bill at the Watford Colosseum with the undercard also featuring unbeaten prospects Steve O’Meara and Ward’s gym mate Bradley Evans. Sheffield prospects Richard Towers and Kid Galahad (subject to board approval) are also in action alongside exciting puncher Yassine “The Showman” El Maachi also features. Tickets priced £35, £40 and £75 are available from the Ticketline box office on 0844 888 4402 or via www.ticketline.co.uk. 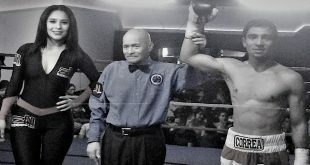 Next Gary Shaw Boxing: Darchinyan To Fight In Armenia?